A community ‘linear larder’ garden along the banks of the Rochdale Canal was a runner-up in a new BBC One daytime TV series, ‘Let’s Get a Good Thing Going’, broadcast on Friday 22 December… Read more. 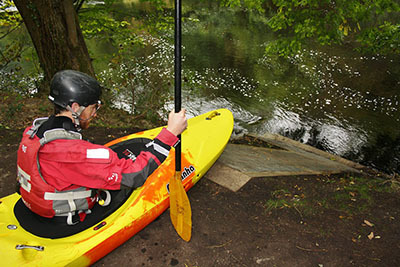 Burn off the Christmas excesses by joining in a range of healthy outdoor activities at Countess of Chester Country Park, starting in January… Read more. The Land Trust charity is fast earning a reputation as one of the UK’s most successful ethical land management organisations. 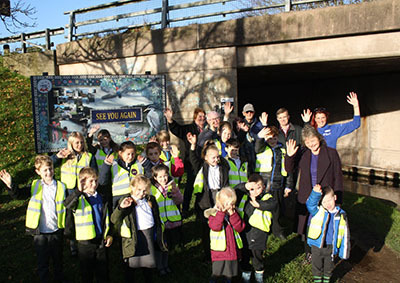 Working closely with local communities, the Trust has engaged with a record number of people over the last year… Read more. 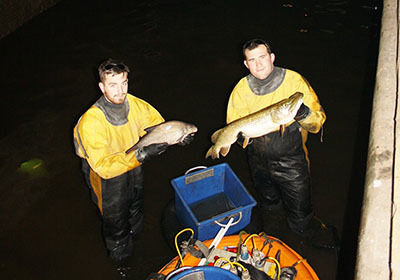 The Canal & River Trust charity and University of Salford have joined forces on a ground-breaking project to test the quality of wildlife habitats and biodiversity of the Huddersfield Narrow Canal… Read more. 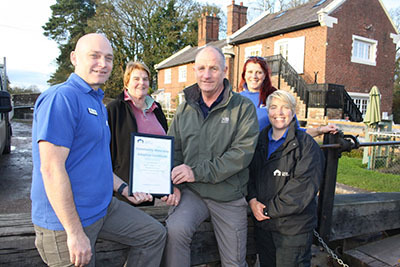 The Shropshire Union Canal near Market Drayton is to benefit from a ground-breaking partnership between HM Prison Service and the Canal & River Trust charity, which cares for 2,000 miles of canals… Read more. 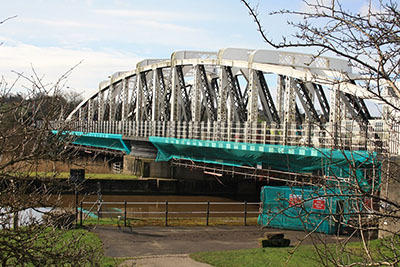 Members of the public are invited to give their views about future development around the canal World Heritage Site at Pontcysyllte Aqueduct, in North Wales, at two drop-in consultation events being hosted in December… Read more. 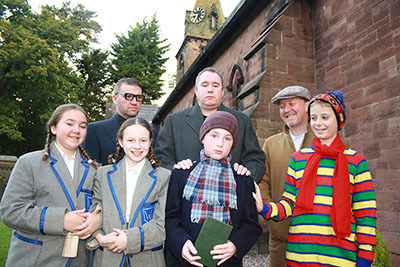 The Shropshire Union Canal through Market Drayton is to get a major facelift, thanks to an innovative arts project launched by Market Drayton Community Partnership and the Canal & River Trust charity… Read more. Chirk canal tunnel, Thomas Telford’s 200-year-old engineering masterpiece, goes under the microscope next week as the Canal & River Trust charity carries out a vital inspection of one of the centrepieces of the 11 mile Llangollen Canal World Heritage Site… Read more. 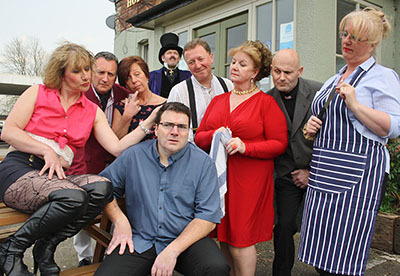 Kingsley Players return to the stage in October (18-21) with the heart-warming World War Two drama, ‘Goodnight Mr Tom’… Read more. 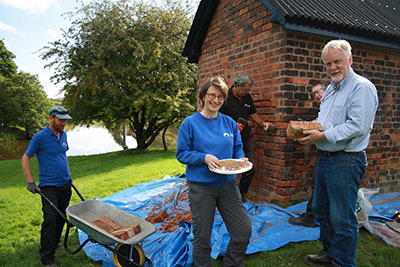 A historic brick hut on the banks of the River Weaver Navigation in Cheshire is being restored, thanks to the Canal & River Trust charity and Saltscape Landscape Partnership… Read more. 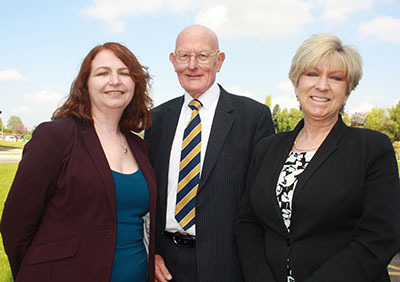 The Canal & River Trust charity has been given £222,305 National Lottery funding from Sport England to help reduce the number of inactive older adults in Cheshire… Read more. 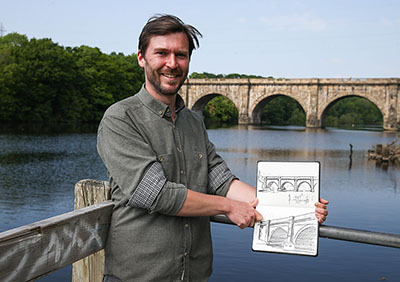 The world’s first canal comic book, inspired by the Lancaster Canal, is to be launched at the Lakes International Comic Arts Festival in Kendal on Friday 13 October… Read more. 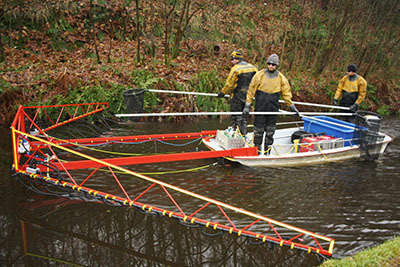 Restoration of the Sankey Canal, Britain’s first industrial canal, has been given a major boost thanks to the new Sankey Canal Partnership, formally launched at a conference at the St Helens World of Glass, on Wednesday 27 September… Read more. 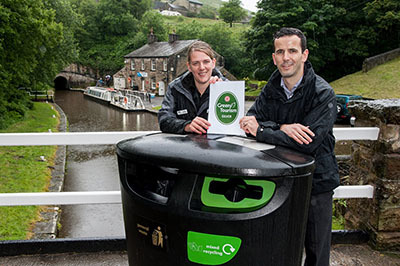 A new bee hive project organised by a Syrian refugee and Sanctuary Kirklees is set to get visitors buzzing at the Canal & River Trust’s Standedge Tunnel Visitor Centre, near Marsden, West Yorkshire… Read more. An attractive development of seven stone houses forms the centrepiece of regeneration plans hoping to bring a new lease of life to a waterside site at the junction of the Macclesfield and Peak Forest canals in Marple, near Stockport… Read more. 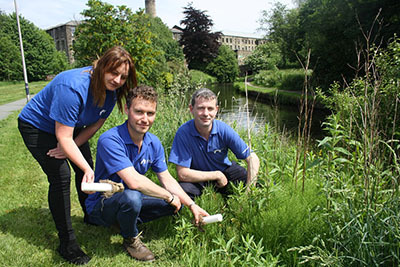 The Canal & River Trust charity will restore the rare plant Royal Fern to the Huddersfield Narrow Canal this month after a remarkable rescue, as part of a canal habitat improvement project Making Special Places for Nature… Read more. Paula Cain, Halton Chamber of Commerce and Enterprise chief executive, departs this week after seven successful years as a prominent leader of the business community… Read more. 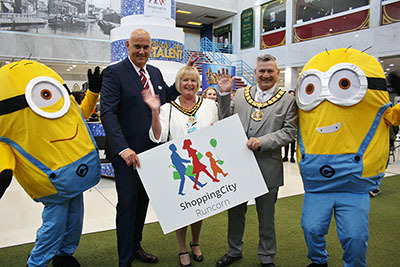 Hundreds of shoppers and community groups enjoyed a fun-packed celebration day at Runcorn Shopping City on Saturday as it went back to the future to mark its new name and rebranding… Read more and view the video directed by Lynn Pegler. Runcorn Shopping Centre is going back to the future with a new look make-over that includes a return to the popular place name “Shopping City”… Read more and view the video directed by Lynn Pegler. 15 September: Standedge Visitor Centre, nr Huddersfield, is buzzing with new bee hives.